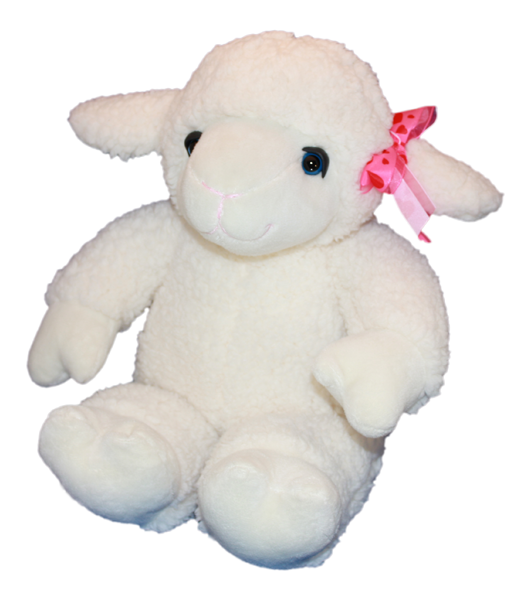 "Lambert" has fur just like a lamb's fur, has blue eyes with cute eyelids, pink sewing, and a beautiful bow. This is a beautiful lamb, so try "Lambert" in your assortment today! This bear has plastic eyes.